At least six people were killed and 10 others injured in an explosion near an ordnance depot in Maharashtra’s Wardha district on Tuesday morning, officials said. Around 10 to 15 contract labourers were at the site when the incident occurred, Wardha’s Additional Superintendent of Police Nikhil Pingle said. “The blast occurred in one of the ammunition boxes while unloading the ammunition. The incident took place in an open land,” he said. While four people were killed on the spot, two others succumbed to injuries in hospital, Inspector General of Police (Nagpur Range) K M M Prasanna told PTI. 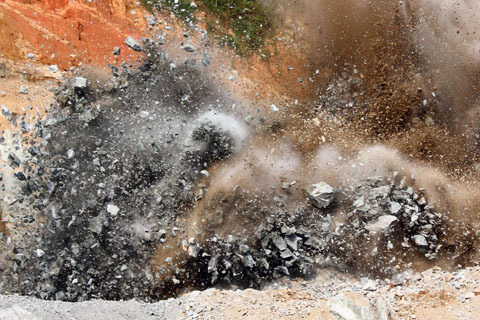 The demolition ground at the Central Ammunition Depot at Pulgaon in the district was given to the Ammunition Factory, Khamaria (Madhya Pradesh), for demolition activities, he said.